"For more enjoyment and greater efficiency, consumption is being standardized." 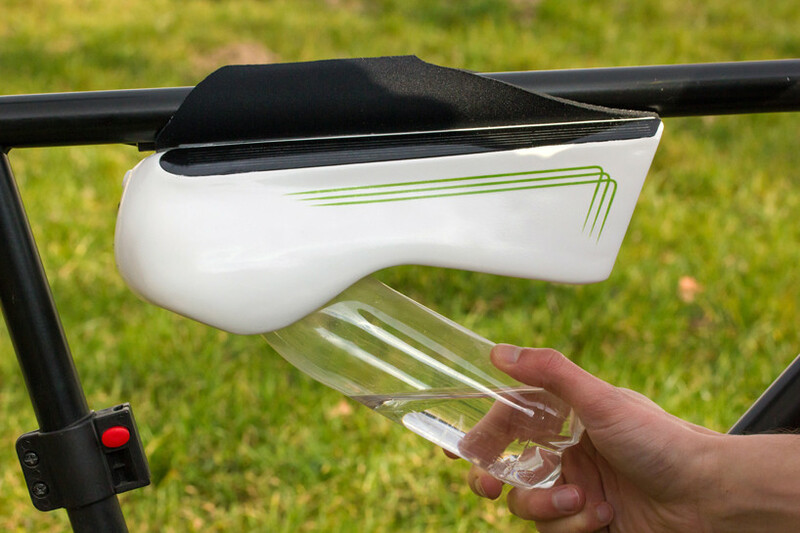 Fontus is a gadget created by industrial designer Kristof Retezar that mounts to the crossbar of a bicycle, pulling moisture out of the air and filling up a water bottle while the vehicle is in motion. The device has a cooler built in to pull out the moisture from humid air.